An open-source and free software, Kodi is one of the most popular media players and entertainment hubs. It’s compatible with a wide range of platforms and devices and is highly customizable. The award winning-software is backed up by a huge community and a team of volunteers who have dedicated themselves to its continuous improvement and feature enhancement. What makes Kodi so special is the huge catalog of addons that extend the core functionality and are created to provide users with access to their favorite content. 1 What is Kodi ? 2 What Made Kodi So Popular? 3 What are Kodi Addons and how they work? 4 What are Kodi repositories and how to install addons? 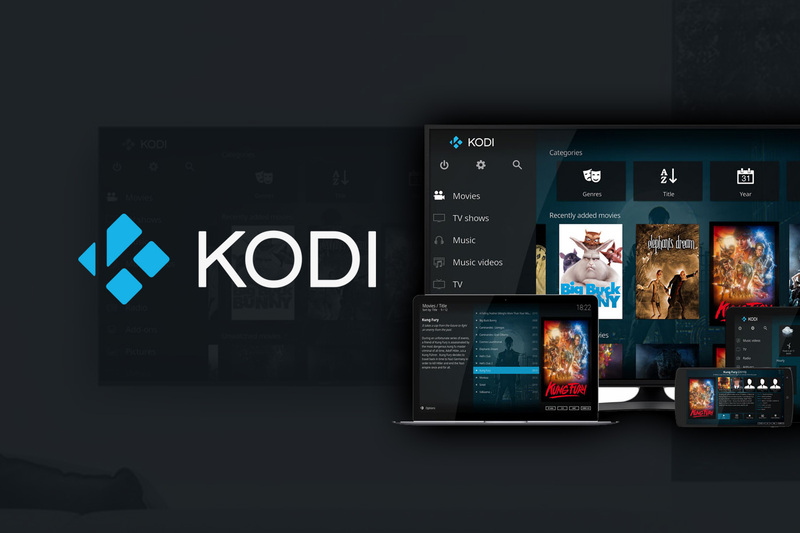 Launched in 2002 and initially known as the Xbox Media Player, Kodi has steadily been making an impression on people who love sharing content around their home. The Xbox Media Player transitioned into the Xbox Media Center (XBMC Foundation) in 2003 and was later renamed to Kodi, which is essentially a program to access and manage streaming media content. Its compatibility with all major operating systems i.e. Windows, Mac OSX, Linux, Android, iOS, Rasberry Pi and more made it immensely popular over the years. The so-called 10-foot user interface works great with large-screen TVs and remote controls. It makes it easier for users to play digital media files from the internet as well as local storage. Users can easily point Kodi to local storage or 3rd party media services as the program itself does not provide any media. It supports all popular audio and video formats and also offers advanced options such as tags, cue sheet and smart playlists. Importing, browsing and playing a movie collection is a breeze on Kodi, which makes the program a great solution for streaming online content, TV shows and enjoying locally stored videos. The TV Shows library offers advanced features such as season and episode view with banners and posters, descriptions, watched tags and other progress tracking tools. Kodi isn’t just about movies and music as it also allows watching and recording live TV and supports a variety of PVRs such as NextPVR, Media Portal and MythTV. A photo library is also part of the package that allows importing, sorting, filtering and viewing photos. The whole appearance is customizable using skins, while Web Interfaces take the whole experience to another level using JSON-RPC based remote interface. Support for a variety of remote controls such as TVs (CEC-Compatible) and mobile apps allow users to control their media intuitively and in a more personal way. What Made Kodi So Popular? What are Kodi Addons and how they work? What makes Kodi so powerful and popular among media lovers is the vast selection of installable addons it supports. Users can install an addon via Kodi or by using external sources. Most of the addons also self-update so users don’t have to go through the hassle of updating hundreds of apps manually. When it comes to addons, asking what Kodi addons cannot do is more relevant than asking what they can. We recommend using a VPN Service with Kodi. Addons are further divided into different categories such as Video and Audio addons and Skins that allow customizing the look and feel of Kodi. Web interface tools allow controlling the program remotely, while Programs and Services addons include helpful tools. Other than music and videos, some other popular addon categories include games, context menus, lyrics, subtitles and weather. Users can even create their own addon easily with minimal development effort using the Kodi addon framework and share their creation with around 30 million Kodi users. What are Kodi repositories and how to install addons? In addition to the official repository, Kodi addons are also available from 3rd party repositories that allow users to install and update addons. External repositories may contain a collection of addons and are different than Kodi builds, which are also addons but installed along with a Kodi build. Although the list of 3rd party repositories is quite long, some of the most popular include Kodil, SuperRepo, Stream Army, SuperRepo, Supermacy, Simply Caz, Noobs and Nerds Repository and Dandy Media. Go to Kodi settings and Add Source after selecting File Manager. For example, users can then type source of a repository such as http://srp.nu (SuperRepo), click OK, enter the name for the repository i.e. SuperRepo and OK. The next step involves going to the Kodi Home, selecting Addons menu and clicking the Package Installer icon. Select ‘Install from Zip File -> Super Repo and then Krypton. Users can then click on Krypton -> Repositories -> Super Repo and finally the zip file such as superrepo.kodi.kryptom.repositories-version.number.zip. In the next step click Install from Repository -> SuperRepo Repositories [Krypton][vX] -> Addon Repository -> SuperRepo All [Krypton][vX] -> Install. Go two steps back and select Install from Repository once again. You should be able to see another repository added there which would be something like SuperRepo [Krypton][VX] so just install and enjoy the new addons. You can also easily find step-by-step guides to installing addons from each of the above-mentioned repositories. The installation procedure of some addons might be different than others, so it’s better to follow the procedure described for a particular repository. After the release of Kodi Krypton 17.6, Kodi fans can now say goodbye to obsolete addons and enjoy the new and more intuitive user interface and even better addons. The updated platform and addons also help enhance security as cybercriminals often see content streaming services as an easy target. That’s why users are strongly recommended to update the core program and addons as soon as an update is released. The addons are in a constant change cycle and the old ones get replaced by new addons, while some old addons even disappear altogether from the horizon. Since the addons are developed by independent contributors, they might not always work as intended and are more of a hit-or-miss thing. Addon’s performance also depends on the server status and you might encounter issues when it’s full. Addons for recorded shows can be a better option than live streaming addons, while selecting a good server would minimize the chances of experiencing issues. It’s also user’s responsibility to ensure that they are not messing with copyrights and are only streaming content they are legally allowed to watch. Here are some of the most popular Kodi addons that enhance the entertainment experience and provide access to a world of interesting content. Being a replacement for another popular addon ‘Exodus’ (recently stopped working for many Kodi users), Covenant has been developed by the same team and offers similar features. It’s available from the Kodil repository and offers up-to-date media content and an extensive library of TV shows, movies and more. SkyNey is a viable alternative in case Exodus and Covenant are not working for you. It’s available from Maverick TV Repository and works well for most users. It offers a massive library of media that you can stream and covers a variety of content sources, including TV shows, movies, sports, live TV as well as IPTV. It also allows watching 4K movies if you have a speedy internet connection. BOB Unleashed allows users to watch their favorite movies, TV shows, anime, cartoons, sports programming and more. It also offers 4K and FHD content and is available from Noobs and Nerds Repository (installing the repository is required before installing the plugin). Being one of the oldest and most popular addons, The Pyramid offers plenty of content, including specialized categories and tutorials. The addon is available from RepoZip and provides access to movies, music, sports programming, TV shows, cartoons and more. Nemesis is a paid Kodi addon that offers a lot of content categories as well as a maintenance section, which allows cleaning junk files and keeping the Kodi installation running fast. It’s available from StreamArmy repository and automatically filters unreliable links. It even allows downloading content, but not all the content is downloadable. Neptune Rising is another strong contender for Exodus and Covenant and provides access to a huge catalog of TV shows and movies. It essentially works by searching for media streaming links all over the web. This means it can offer several links for each title so users always have a working link to their favorite content. The stable and lightweight addon is available from the Blamo repository and covers TV shows, movies, IMDB user lists, top movies and more. The addon previously went offline, but has been made available again and is mostly about TV shows and movies. Users can view what’s hot and browse through the available content. This addon also generates multiple links for the same content, which works great for users who don’t have high-speed internet connections as they can view the content in lower resolution and quality. Available from the Jesusbox repository, the addon saves time and supports channels featuring preference-based customized lists. This addon allows users to watch their favorite BBC shows, which include some of the most popular and highly rated series such as Planet Earth. The easy-to-use addon relies on the original BBC iPlayer and provides easy access to both new and older programs, including educational shows. However, the addon only supports IP addresses from the UK (as the content is geo-restricted) and is available from the Kodi Addon repository. Many users have reported a dysfunctional cCloud TV addon, but it still works for many. It made it to this list because of the extensive collection of content it offers, including international TV channels and more than 20 content categories. Although you might not be able to access everything the addon once used to offer, you can still watch hundreds of streams and a lot of categories. It’s available from the Kodil repository and offers faster video and TV shows download speeds. The Kodi Reddit addon is a must for any video geek as it allows watching Reddit videos without using any browser and right from within Kodi. It can easily be downloaded and installed from Kodi’s repository using the addon manager. As the name suggests, SportsDevil allows streaming live sports events and is a favorite addon of cricket and football fans. It supports a lot of channels, including Sky Sports, Star Sports, Fox Sports, ESPN 1 & 2 and NBCSN. It’s available from the Kodil repository and in addition to live streaming, it also allows watching highlights and match reports. TuneInRadio is a great addon for listening to radio and music and allows users to sync their favorite stations with Kodi. The addon can be installed directly from a local drive and is available for download from the github repository. SmoothStreams is a great live streaming addon that supports over 50 live channels and many popular TV shows. Users can view content in different qualities, allowing them to enjoy even if they are using a slow internet connection. It’s available from SuperRepo and offers a simple and easy to navigate interface. Available from the Kodil repo, Pulse Fitness is a fitness and workout addon and keeps viewers informed about exercises, weight-lifting, diet tips, yoga and more. The collection also includes motivational videos that help viewers stay in shape and maintain a healthier lifestyle. Available only for watching US IPTV channels, Streamz TV is a geo-restricted addon you can get from the Brettus repository. You’d have to bypass geo-restrictions if you are using the plugin from another country. It offers a lot of interesting channels, including CBS Reality, Animal Planet, AMC, BeIN Sports, VH1 and more. Since ACE IPTV is a paid addon, it offers a huge variety of content, including sports, TV shows and movies. It provides access to channels including Sky Movies, Sky Sports, BT Sport, BBC, Fox, ABC and HBO. The pricing starts from £2 (one-day) and goes all the way up to £70 (one-year). This addon allows enthusiasts to watch streams of professional gamers playing gaming events and is available from the Kodi official repository. You might also want to give the YouTube Gaming addon a try as it also offers a similar functionality. Met Office is a Kodi weather addon, which also happens to be one of the most popular weather addons. Its features include auto-location, five-day prediction, quick response time and reliable observation. The addon is available from the Kodi repository, but it only supports one location at a time.